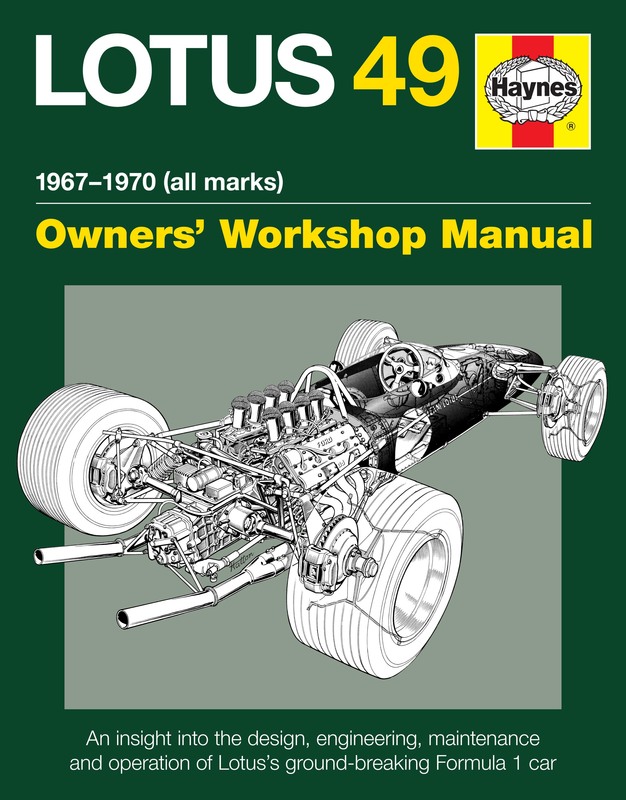 The Lotus 49 F1 car was designed by Colin Chapman and Maurice Philippe for the 1967 F1 season. 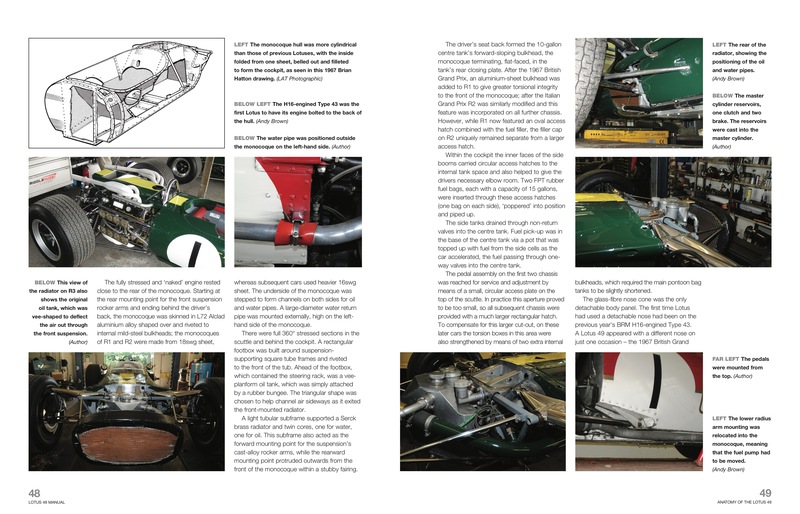 It was the first car to use the legendary Cosworth DFV engine. 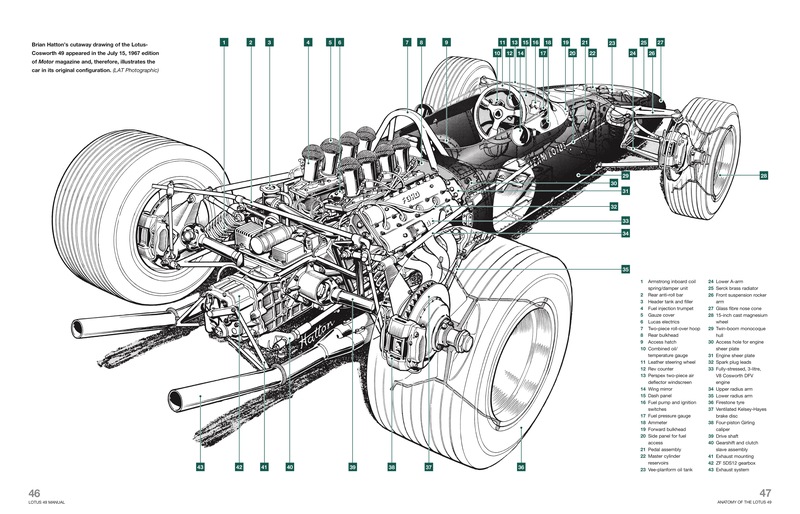 The car was designed around the DFV engine, and was highly significant in being the first successful Formula One car to feature the engine as a structural member. 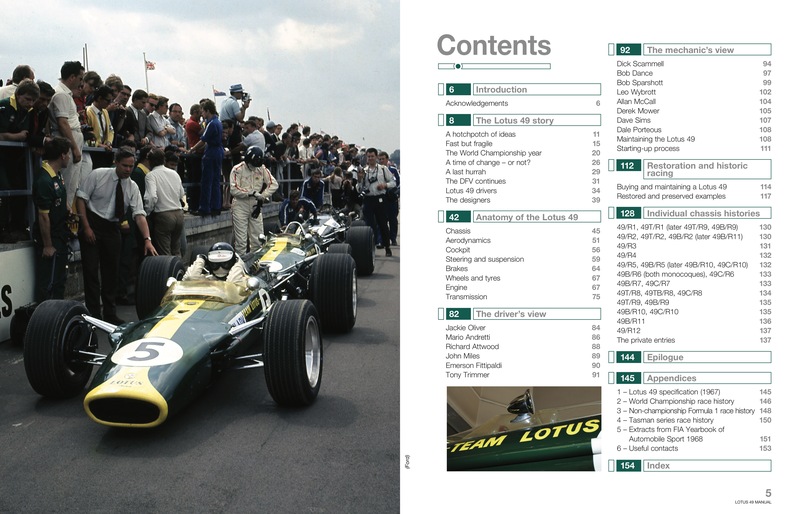 The Lotus 49 was also significant in being the first F1 car to feature aerodynamic wings, and was the first car to feature commercial sponsorship, in the form of the famous red, gold and white Gold Leaf Team Lotus colours. Jim Clark famously won on the car's debut at Zandvoort for the Dutch Grand Prix in 1967, and it would also provide him with the last grand prix win of his career in 1968, before Graham Hill went on to win the 1968 F1 World Championship using the car. 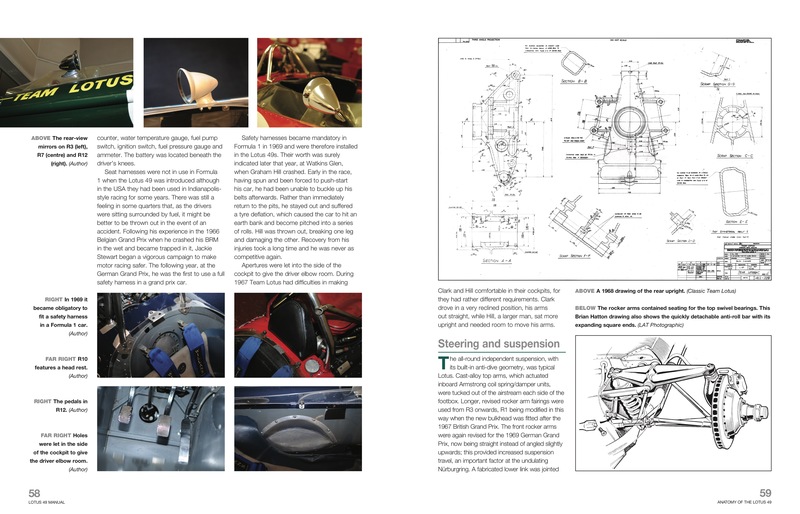 This Manual provides a fascinating insight into the design, evolution, operation, maintenance and restoration of the Lotus 49. Key content ? 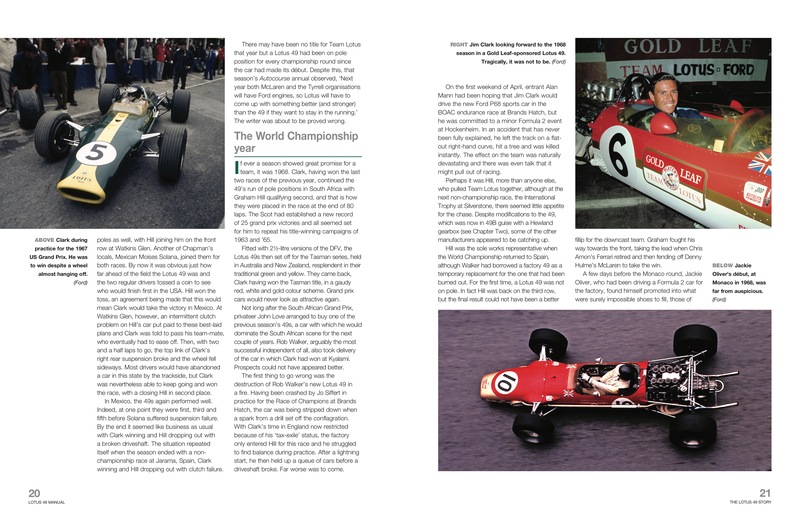 The Lotus 49 story - brief history of Maserati, design, evolution and racing history of the Lotus 49, and subsequent Maserati story.